Saturday ... the wind built and built and built. 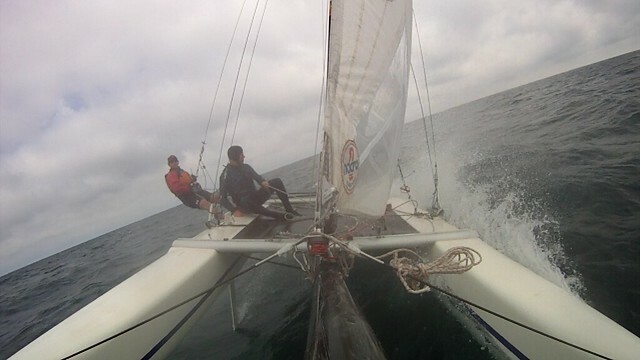 Roy and I chased Ed and Roni for about 2 hours on Saturday in 20 kts of breeze. Could have used Roy out on the wire with me. Instead... we flew a hull ... a lot. note Roy is looking to port and stern that's where Ed and Roni are ... to stern.